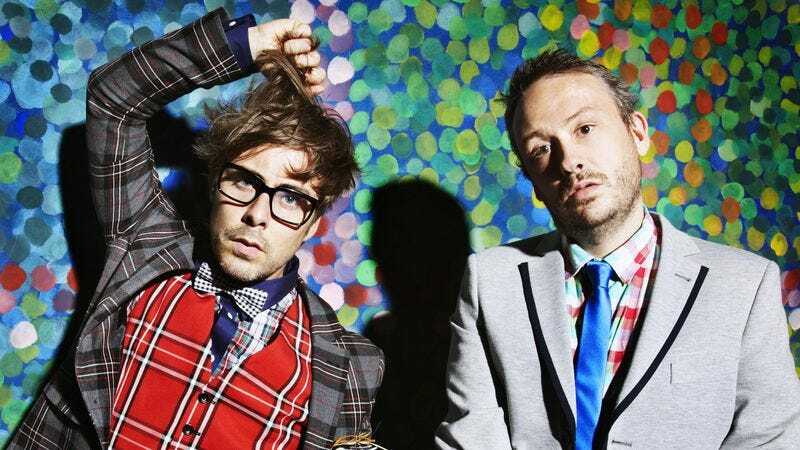 When Basement Jaxx emerged out of Brixton at the tail end of the ’90s electronic boom, their take on house music was a revelation: dynamic, arresting, and reckless, but also remarkably pop-friendly. In the hands of founders Felix Buxton and Simon Ratcliffe, controlled chaos reigned. Rhythm stormed to the forefront, while hip-hop, Latin, disco, big beat, and rock ’n’ roll grooves collided like bumper cars—leading to notable releases such as 1999’s dance-music totem Remedy, the Gary Numan-sampling “Where’s Your Head At?” and the Grammy-winning genre meltdown Kish Kash. In fact, Basement Jaxx have always set the bar so high for themselves creatively, anything less than ahead-of-the-curve production and songwriting feels like a letdown. That’s the unfortunate takeaway from Junto, a collection that vacillates between exciting and generic. The latter result is perhaps because the album downplays recognizable guest vocalists—the most prominent is rapper Mykki Blanco, who surfaces on the frantic, jungle- and drum-’n’-bass-influenced “Buffalo”—in favor of newcomers. While certainly talented, these relative unknown singers aren’t often distinctive enough to elevate Junto’s various strains of house music, which can also be sluggish or anonymous: midtempo R&B-pop (“Never Say Never”), upbeat Latin perfect for Ibiza poolside DJ sets (“Mermaid Of Salinas”), or pedestrian diva-soul that’s calibrated for the overhead music at H&M (“Unicorn”). Junto’s dearth of inventive samples is also a disappointment, especially because one of the album’s highlights—the whirlwind early ’80s disco-soul homage “Summer Dem”—skillfully incorporates elements from Kid Creole And The Coconuts’ “I’m A Wonderful Thing, Baby.” In fact, the record shines when the band sticks to kinetic cut-and-paste jobs: the anthemic “Power To The People” is a typical Basement Jaxx banger with simmering house beats and bleating horns; the brisk “Sneakin’ Toronto” is hyperactive electro-funk with brassy percussion and Pee Wee’s Playhouse-worthy sound squiggles; and “Rock This Road” is a sweaty, mincing samba. It’s telling—but a little bittersweet—that Junto’s standouts are the ones that recall Basement Jaxx’s past work. The group has always been seen as reliable innovators who delight in stretching the limits of possibility; it’s not a stretch to say they paved the way for the success of modern house darlings Disclosure and Rudimental. 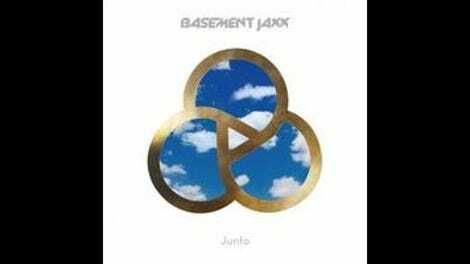 But for the most part, Basement Jaxx are coloring within the lines on Junto, which leads to disappointing results.